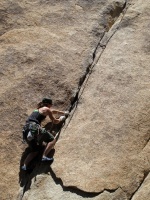 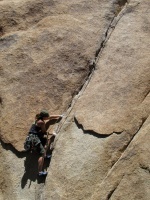 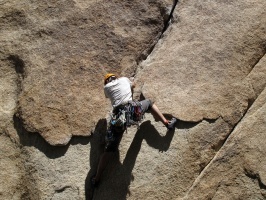 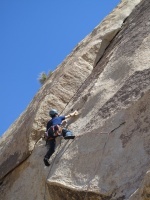 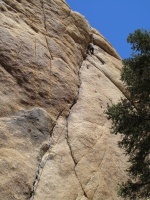 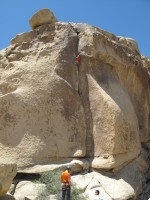 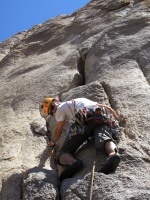 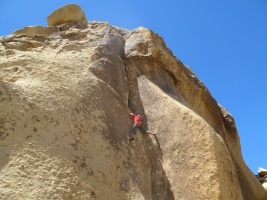 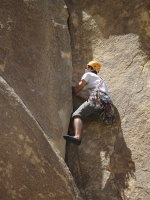 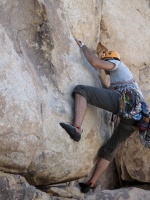 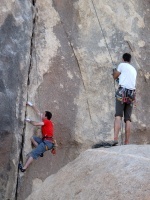 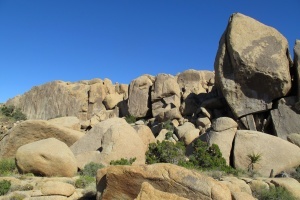 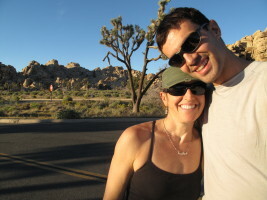 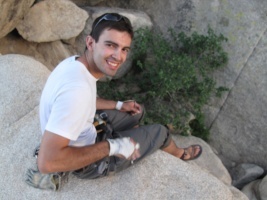 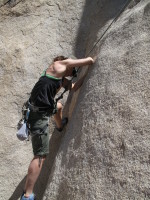 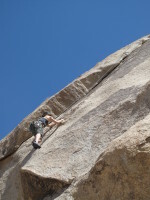 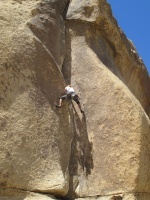 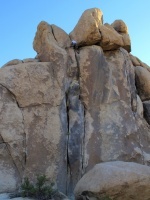 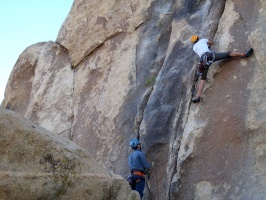 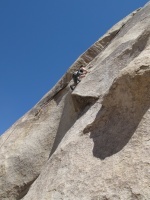 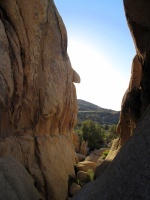 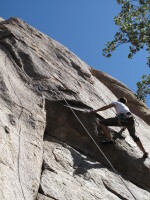 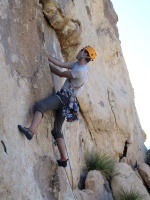 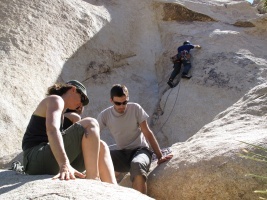 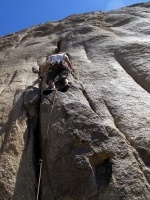 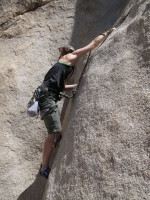 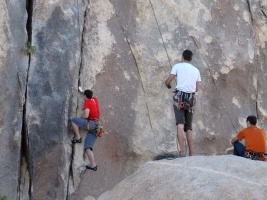 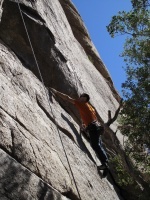 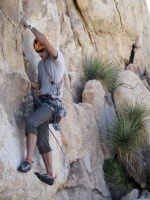 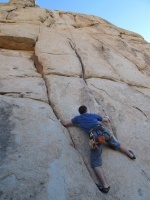 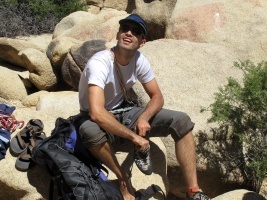 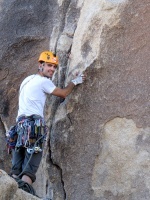 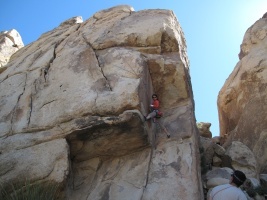 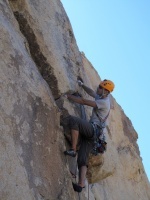 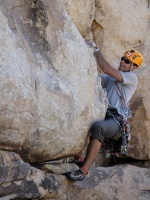 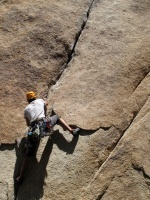 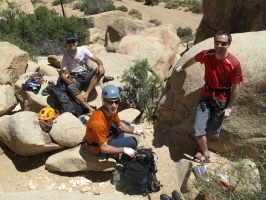 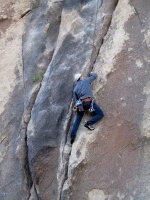 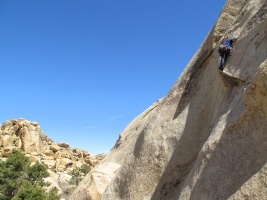 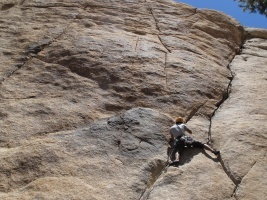 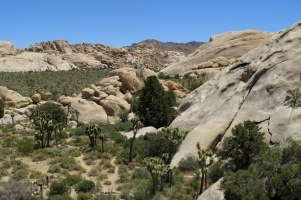 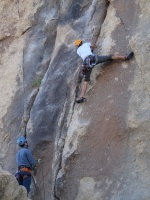 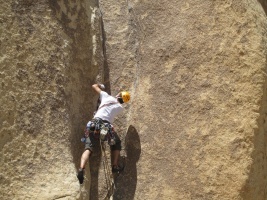 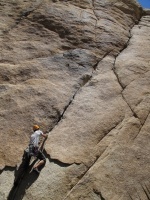 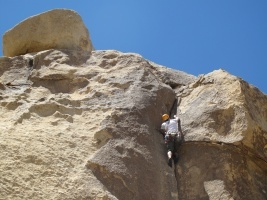 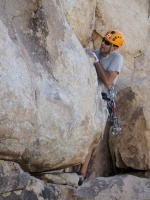 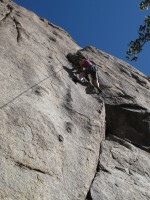 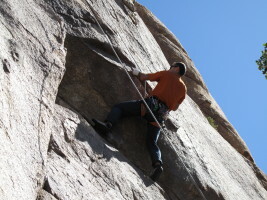 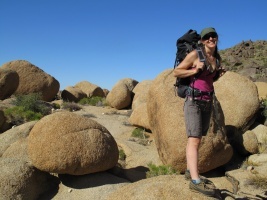 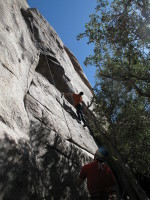 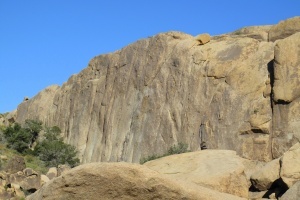 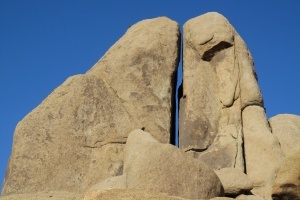 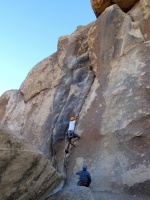 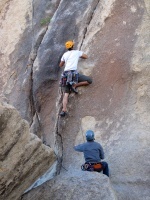 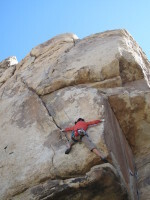 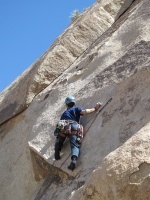 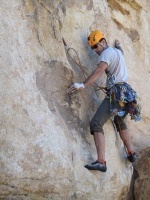 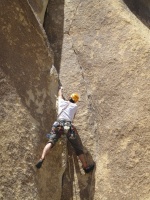 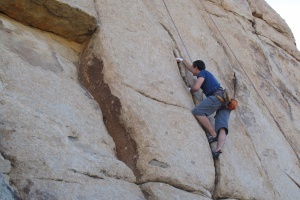 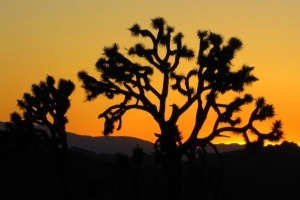 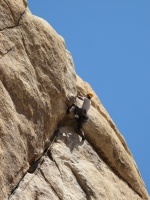 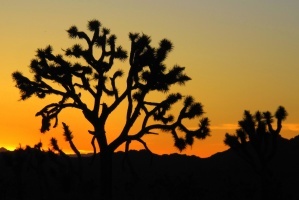 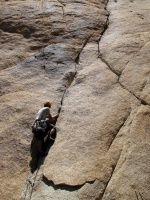 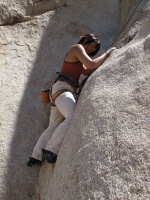 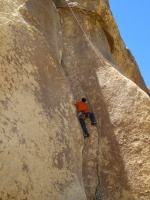 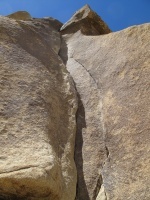 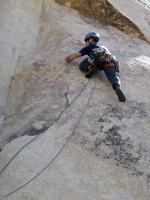 A weekend of climbing classics & hanging out in Joshua Tree! 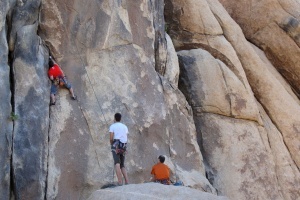 Highlights: Overseer, Head Over Heels, Touch & Go, Heart and Sole, and Illusion Dweller, but other great climbs too. 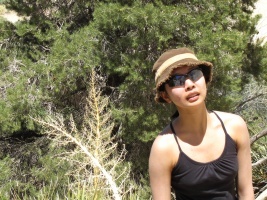 With Melissa, Karen & Wen (who flew there), Nayden and Victoria. 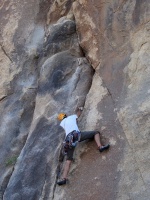 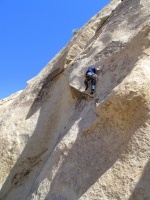 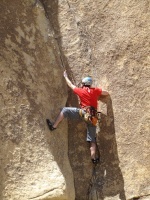 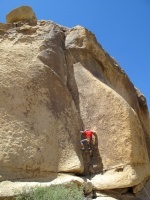 About to try the real crux..
Nayden liebacking the start - somewhat burly! 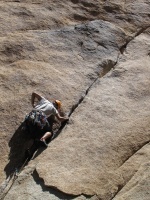 A long way to go!